So much yarn, so little time. 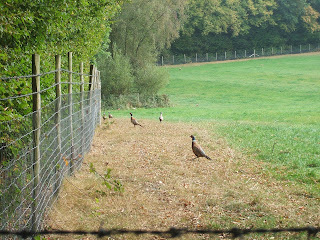 : Diverse Kent fauna! 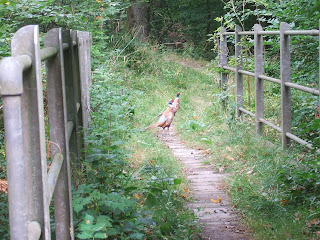 Walking in Kent in September we expected to see pheasants - and weren't disappointed. What we didn't expect were alpacas. 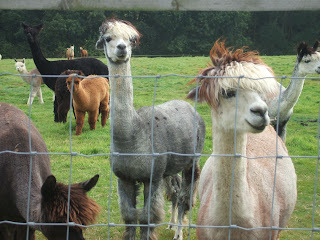 We visited an alpaca farm a while back, but this was yet another Kent alpaca farm. 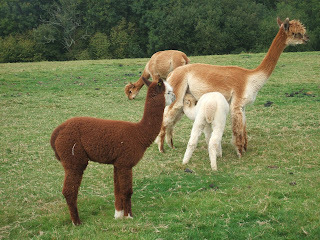 Loving the babies - they're called crias - and the fabulous hairstyles! 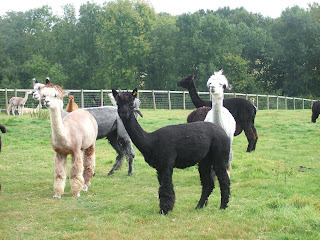 I hadn't realised alpacas could be grey. Those babies are so cute! Perhaps you could start knitting alpacas? i love alpacas! someone once gave me a bag of their hair and its amazing. thanks for visiting my blog...not sure why you can't follow...some blogger flux?